Lillian new shoes are a wonderful sheeny purple with Mary-Jane straps and high heels - Lillian thinks she is extremely elegant and sophisticated in them. 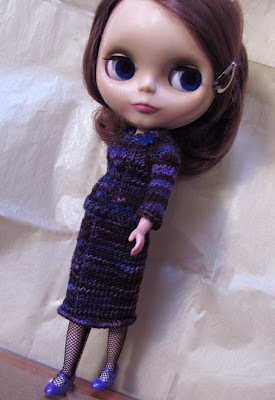 Here she is modelling her new shoes and new winter jumper suit. 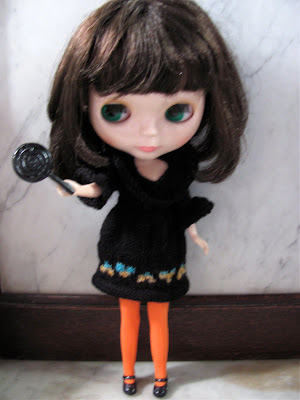 JemGirl also sent a licorice lollypop - which made Audrey very happy indeed. 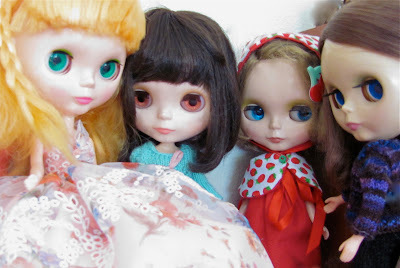 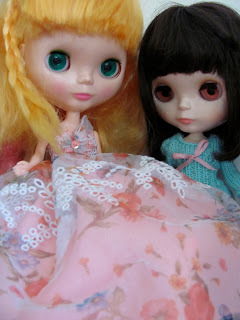 We all went to Melbourne recently - Lillian & Audrey are jet-setting dolls and they do love to catch up with the Melbourne Blythes. 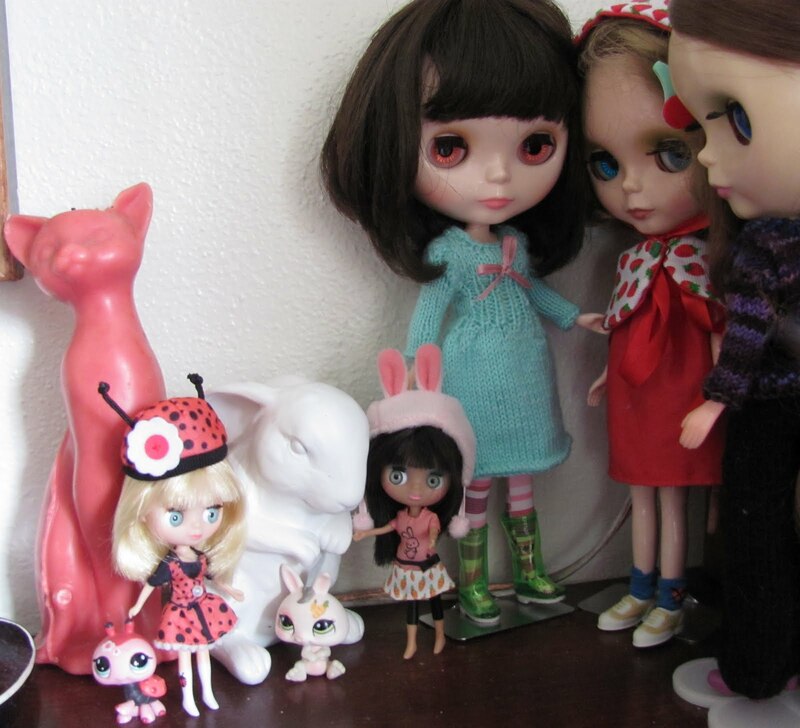 That's Bird with her Bugsie and Bunny with her Wabbit, Audrey, Bibi and Lillian. 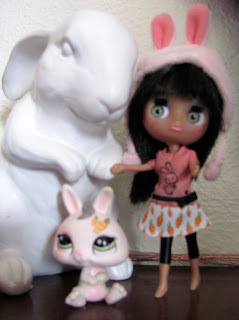 Bunny is new to the Melbourne branch of our Blythe family - she has been adopted by the White Rabbit. Bubs arrived a little late to the gathering - she was busy getting dressed! 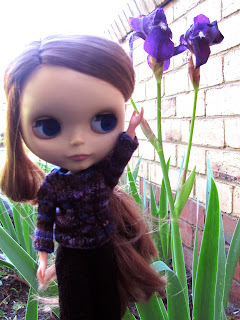 But Lillian was very happy when the irises in the garden started to bloom - they were such a lovely dark purple.